But what about eliminating all commercially viable GO Transit routes, entirely? I understand that this province is more than a political unit, and I like it that way. Therefore, I don’t personally have a problem with my tax dollars going to connect the densely populated areas to some of the least densely populated areas in the name of provincial unity, but is it any wonder that Greyhound threatened to, and did, terminate unprofitable routes? Indeed, some of them were unprofitable, because, like in most industries, executive compensation wasn’t up for negotiation, and cost savings had to be found elsewhere. Plus, the compounding debt as a result of our fundamentally unsustainable compound interest-based monetary system. 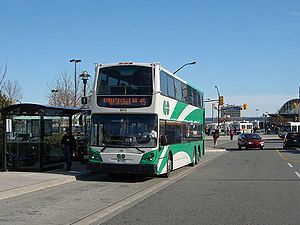 To me, it’s ridiculous that Ontario taxpayers are paying to undercut commercially viable routes and transportation companies operating between high volume urban centers like Waterloo Region and Mississauga, and if Drummond was really serious about “sweeping public transit reform,” he’d call for the scrapping of all commercially viable GO Transit routes.